Today’s review features 2015 flub Rokka no Yuusha. You either love it or hate it. It is an anime that wants to be action-fantasy and mystery but fails to do so. However, it does bring to the table a refreshing new take of the genre. Spoiler is marked. Feel free to read through. Rokka no Yuusha is an anime that needs a few episodes to kick into action, as is the problem when someone tries to turn one volume of content into a 12 episode anime. After the strong first few episodes, the anime goes into detective mode with a locked room mystery that doesn’t really make a whole lot of sense, but once it finally pulls itself out, the suspense is enough to make Rokka no Yuusha a good watch. It isn’t a typical team of badass heroes defeat the demon lord. Their distrust makes the viewer wonder if they even had a chance at all. The anime has a habit of making up a hypothesis, then introduce a fact that contradicts that hypothesis, make a new hypothesis, rinse and repeat. Its weakness, mystery-wise, is that the viewers don’t have all the information necessary to make a judgement. Some characters don’t really have a reason to be a suspect and are thus left out for the most part. (Goldov? Who’s he again?) Most discussions are merely speculation, not anything that the anime actually sets up. There is really no reason to suspect anyone aside from Adlet given the circumstances, but we know he isn’t the seventh (as far as the anime goes) but some people say it’s painfully obvious who the seventh is. Adlet’s motive to clear his own name does give him the moments with Flemy which is pretty good, the best moment in the whole series. One person that caught me completely off-guard is Hans, just because I didn’t think I would like him so much nya. He’s actually a pretty good guy nya. Adlet, while having no fancy abilities others have, is a brilliant protagonist and can find a strategy to get him out of pretty much everything. He is also solid and likeable as a lead. His love interest also complements him very well, and you have no choice but to love her too. The action aspect seems really good in the first half, fell midway, and pick itself up towards the end. It is fun to watch characters pit their special powers against each other. The most memorable sequence is when Adlet stomped Nachetanya’s face with his muddy shoes. Flemy also has some pretty cool sequences with her being the Saint of Gunpowder throwing explosives at random places. Everybody chasing after Adlet does give Rokka no Yuusha some good action which keeps me on the edge of my seat towards the end. Still, Rokka no Yuusha packed most of its action too late into the series and not everyone will sit through episode after episode of talking just to get there. The Mesoamerican setting introduced in the first episode pretty much faded away by the end of the series. Only the support characters and Nashetania (in the beginning) look the part, while others are just whatever the artist came up with. Characters look pretty good if we overlook the issue that they don’t really fit the setting. The Mesoamerican setting has so much potential as a fantasy but all we get is a foggy forest. Yes, a foggy forest. The art is absolutely stunning in the first few episodes but fall flat midway through, probably because of bad reception. I have no complaints regarding the music. What completely ruined Rokka no Yuusha for me is the ending. It is understandable since the anime only adapts one of the six volumes of light novel, but…it feels like they just threw it in for people to want a second season that will never exist. I felt like I was slapped in the face, and not to mention that their decision to include Roronia in the last minute completely took the dynamic away from the AdletxFlemy relationship that took nine freaking episodes to develop. 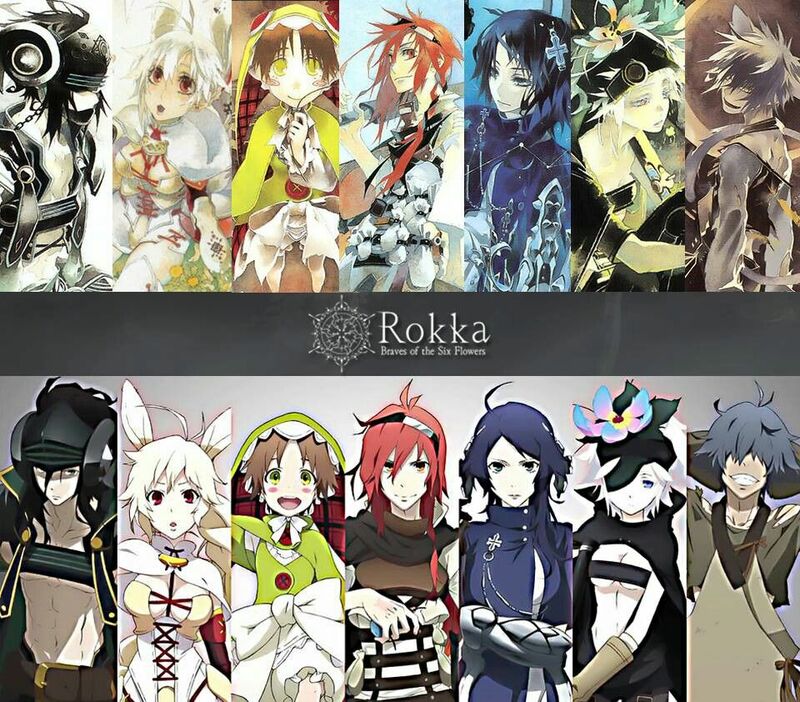 Overall, Rokka no Yuusha is okay, but it’s not for everyone. If the talking could be condensed, more aspects of the setting and the other Brave’s background could be explored. It is enjoyable, and the underwhelming ending leaves me wanting to find out more because it has the potential to be something groundbreaking for the genre. Unfortunately, this anime feels more like a 12 episode promotion for the light novel, and I’m not sure if I can wholeheartedly recommend it to anyone. 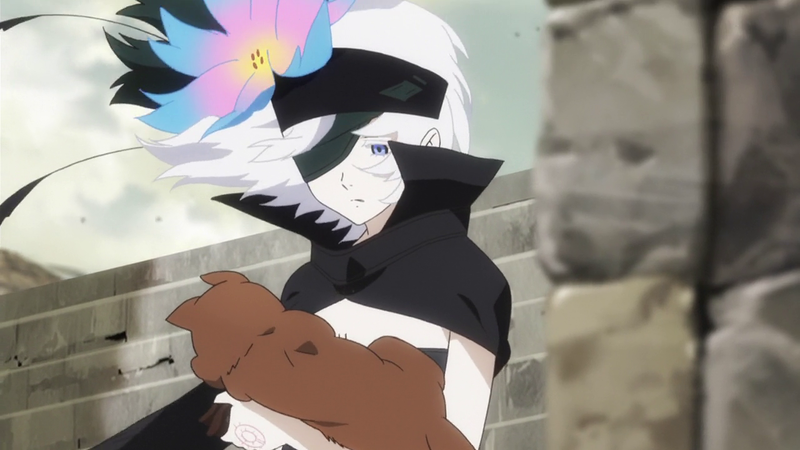 I kind of enjoyed Rokka but I have to agree it missed a lot of its potential. I also would have liked more done with the setting given it could have had such a distinct feel from so many other action anime but by mid-way along other than the temple design there’s really nothing to make the setting distinct in this. King's Raid Beginner Heroes Guide 2019 - Which one should I get? The historical context of Phichit Chulanont's "The King and the Skater"
If you like what you see, don't forget to follow my blog for more!